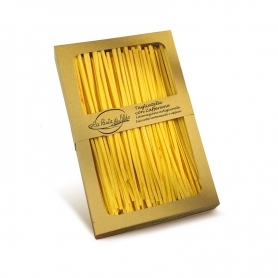 La Pasta di Aldo There are 10 products. Craftsmanship, mixed with eggs, mixture of different semolina for every type and measure, and dried hanged and slowly, easy to digest, very porous (absorbs well and keeps the sauce), successful cooking time and servings. Wide and full-bodied pasta that does not fear the most daring sauces. 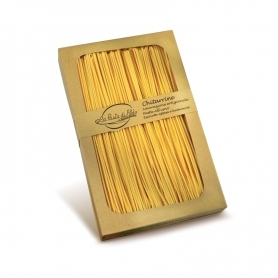 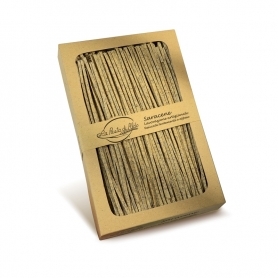 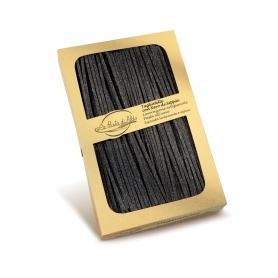 Balanced format, intermediate between tagliatelle and pappardelle. Ideal for scented first courses of Mediterranean taste. 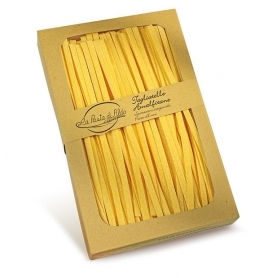 Particularly seasoned with anchovy and cherry tomatoes.